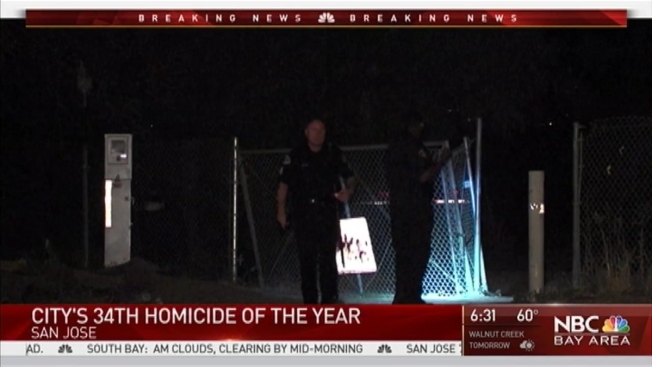 A man was found dead on Thursday evening in San Jose, making him the city’s 34th homicide of the year. That is four more than the city’s 30 homicides in 2015, with four more months left to go in 2016. Four days before that, two brothers were killed, making them the city’s 32nd and 33rd homicides this year. The circumstances surrounding the man’s death, reported at 8:26 p.m. at Herald and Bonita avenues, were not made public. San Jose police said they found the man suffering from “visible injuries” and pronounced him dead at the scene. How or why he was killed was not explained. Two brothers killed on Aug. 21 were the city’s two previous homicides. No one has yet to be arrested in the deaths of 27-year-old Michael Ramirez and 36-year-old Arturo Ramirez, who were shot to death in the 900 block of South Eighth Street near San Jose State University’s Spartan Stadium. Anyone with information should call Detective Sergeant Bert Milliken or Detective Raul Corral of the San Jose Police Department's Homicide Unit at 408-277-5283. Anyone who wants to remain anonymous should call Crime Stoppers at 408-947-7867.